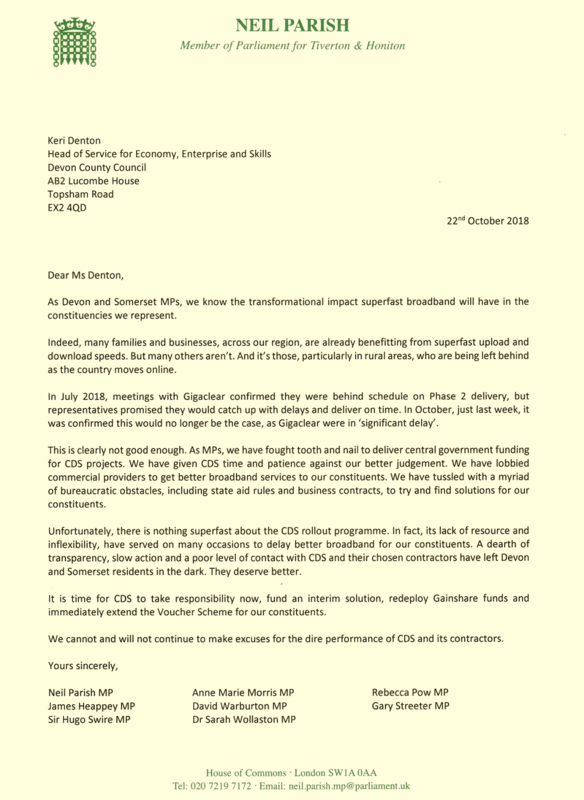 The fallout from Gigaclear’s admission that their state aid fuelled roll-out of 1Gbps Fibre-to-the-Premises (FTTP) broadband ISP services under the Connecting Devon and Somerset (CDS) project was “significantly behind schedule” has continued this week, with several local MPs calling on the councils to take stronger action. In reality the CDS project is somewhat stuck between a rock and a hard place, which means they can’t easily punish Gigaclear without potentially harming their own plans and possibly causing even more significant long term delays (e.g. having to re-start the procurement process all over again). Lest we forget that Gigaclear only scooped the contract(s) after CDS rejected BT’s (Openreach) original proposal all the way back in 2015 (here), which leaves them with precious few alternative options and nobody wants to see another delay like that. This is why CDS will almost certainly agree to Gigaclear’s revised plan when it surfaces. Meanwhile local residents will want some certainty that the ISP can actually deliver on whatever is promised, although complex FTTP centric civil engineering deployment targets will always be tentative ones and thus subject to change. This will be true of the revised roll-out plan too, although no doubt the ISP will be much more careful about any dates they set. I suggest they are better to stick with a revised Gigaclear plan than seek alternatives at this late stage, however frustrated they may be. 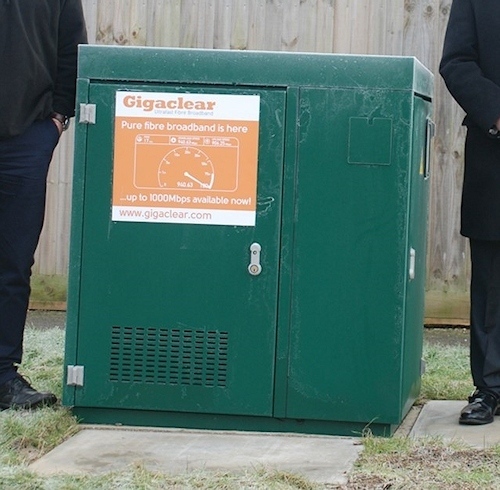 At least Gigaclear are prepared to join OR in rural based deployments. The ‘dearth of transparency’ from CDS also applies to the Phase 2 area being delivered by Airband (Lot 4), with only 14 months until the delivery contract end date, residents still have no way of finding out if or when they will get a connection. As with a lot of things if you keep people informed they will put up with an awful lot particularly if there is a decent drumbeat of progress. Better comms needed……people understand real world difficulties and will then apply pressure to make them go away through back channels. Say ‘Mike’ is the grouchily old farmer who is withholding his waylay. ‘Cherryl’ desperately needs high speed fibre for her new business. XYZ Co are struggling. But it is a public the fact that ‘Mike’ is the hold up. ‘Mike’ is known to ‘Cherryl’ and they often have tea together. ‘Cherryl’ has the ‘in’ with ‘Mike’ and asks if he can help: delighted to. Problem solved. That is how back channels to community engagement works. Someone somewhere will have the relevant ear. Unfortunately the OR, keep-it-secret-lest-we-be-criticised-for-falling-behind mentality seems to have been infectious. Which is not surprising given the death grip they had on the process to start with. I wonder what the point of the letter from MPs to the CDS project lead was when the project team is clearly a major part of the problem. Why don’t the MPs challenge the local authorities to undertake a review of the effectiveness of the team with a view to a radical overhaul? 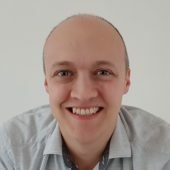 As stated in other posts, both Gigaclear and Airband are well behind schedule. And the CDS team bungled two separate procurement exercises. Normally heads would roll at this point, starting with the project management team. To be seen to do ‘something’ by your voters. I can’t take the letter very seriously. Politicians (at all levels) have caused many of the problems delaying roll-out and solved few if any of the obstacles. The CDS website is a joke. For a body responsible for such large projects (and their budgets!) I find it incredible how little news there is on the CDS website. How about a rolling list of communities in Devon and Somerset that they have actually managed to connect? (or are they still waiting for the first?). No published minutes, no published accounts, no coverage details or dates for my area, everything done in secret. How a publicly funded program can behave like this is beyond me. IIRC the local authorities have contractual responsibility for communications relating to the programme, so the project team is responsible for disseminating information such as coverage etc. It’s one of their few deliverables, given all the infrastructure is done by partners. Other counties seem to manage, no idea why CDS is incapable. Because the people running the CDS project are utterly incompetent! On the rare occasions CDS do publish information it is usually wrong. The classic example was when CDS published their Phase 1 coverage maps 4 years ago, nobody at CDS understood the line length limits of VDSL, premises that were 5 miles or more from the cabinet were shown as covered! Clearly peanuts are expensive in Devon! The cause of delays is the Tier one contractor Carillion Telent (now Telent). They lied to GC that they can build all the lots, meanwhile they are very incompetent contractor. They don’t have enough resources which are subcontractors and they abusing these subcontractors by not paying them!